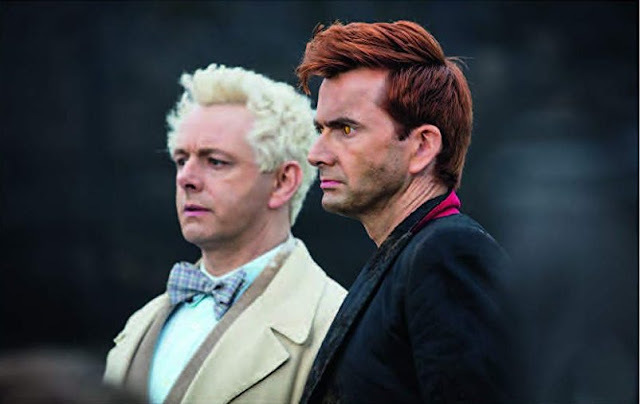 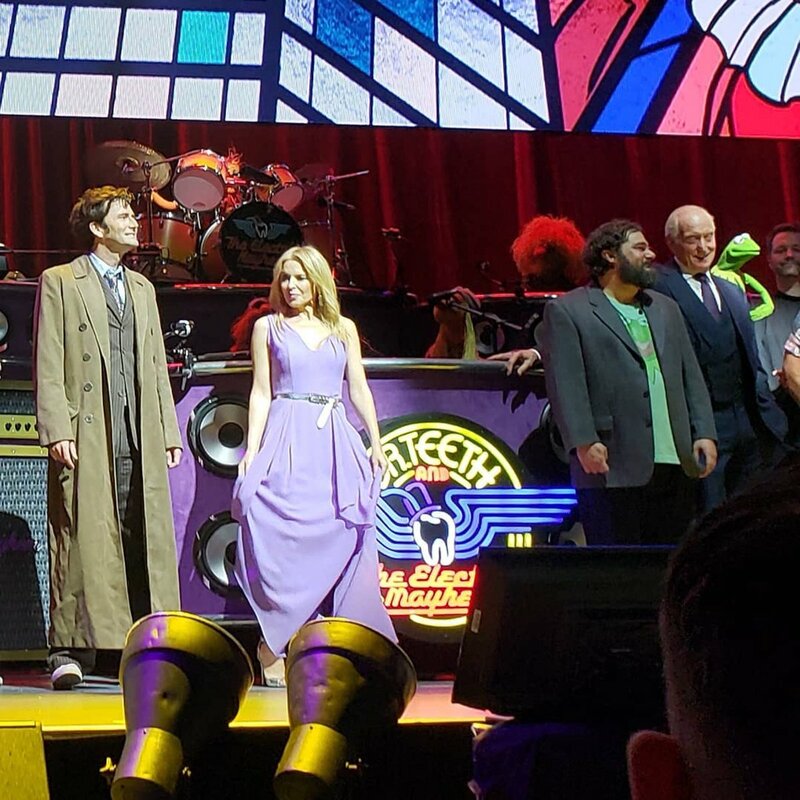 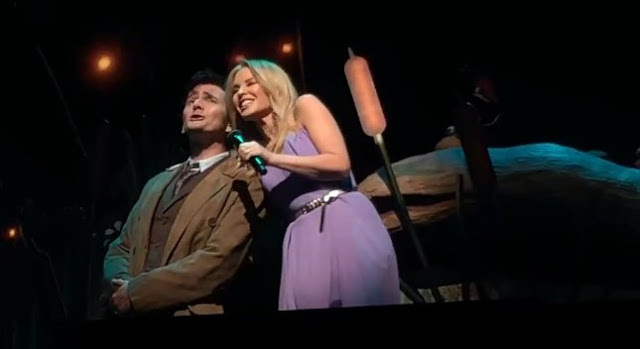 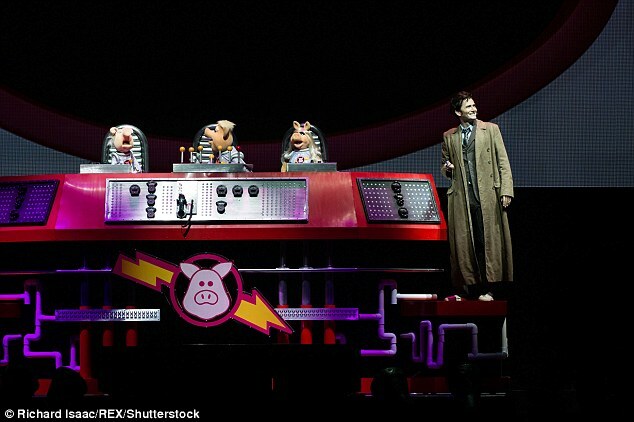 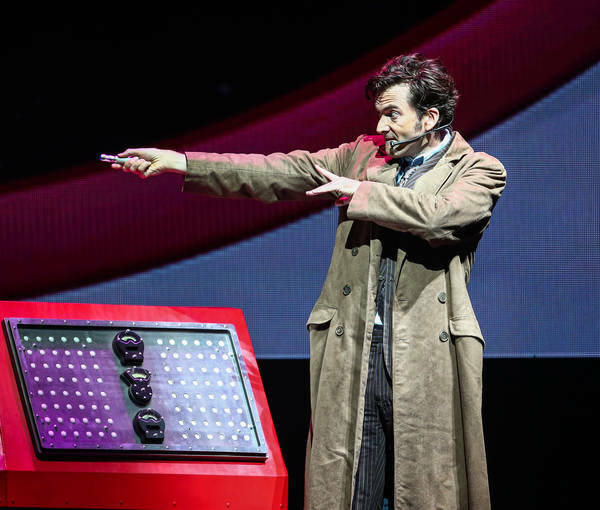 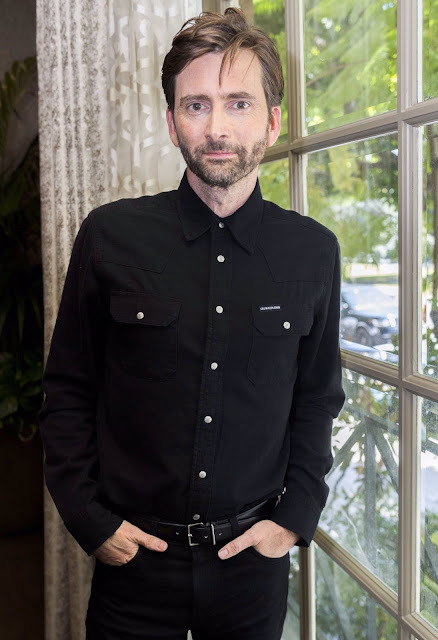 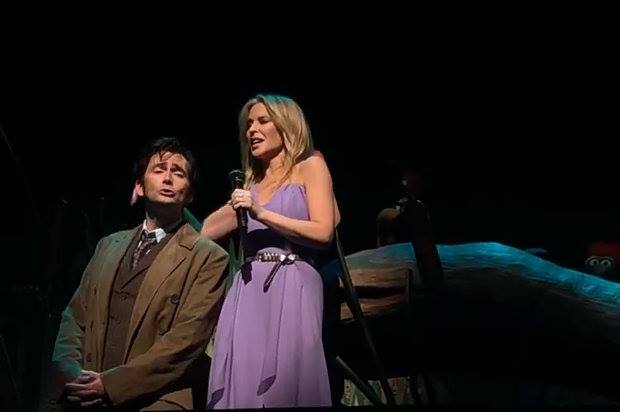 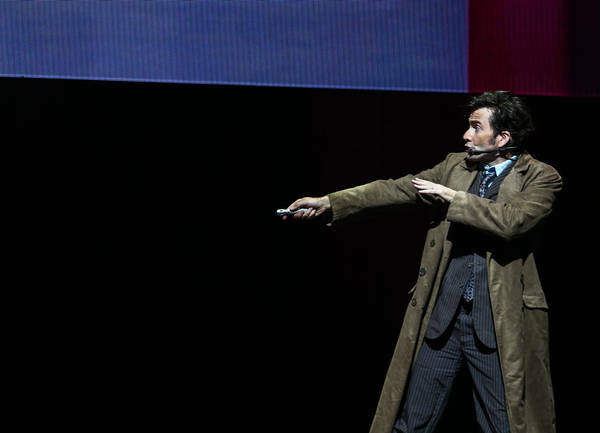 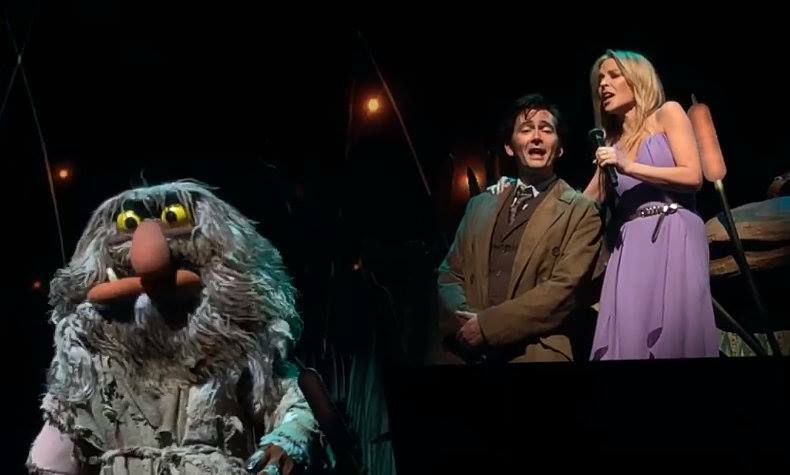 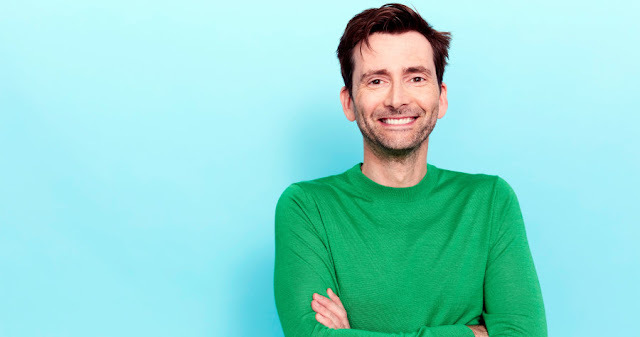 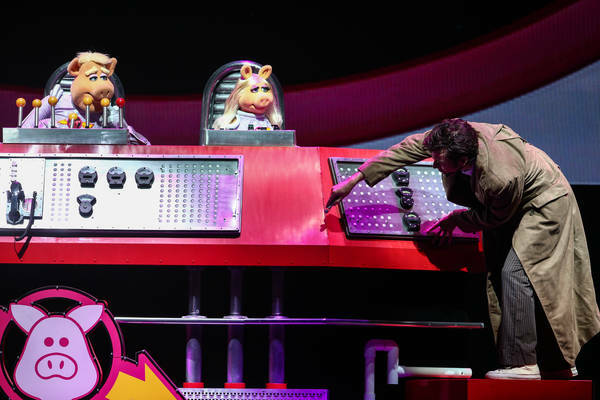 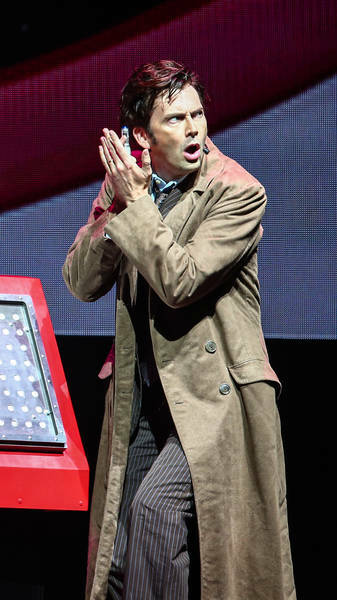 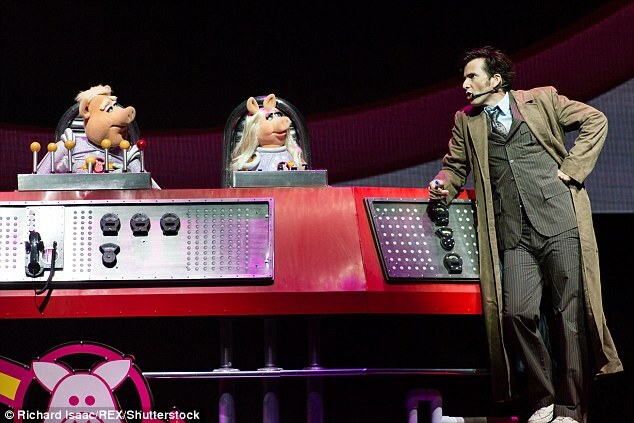 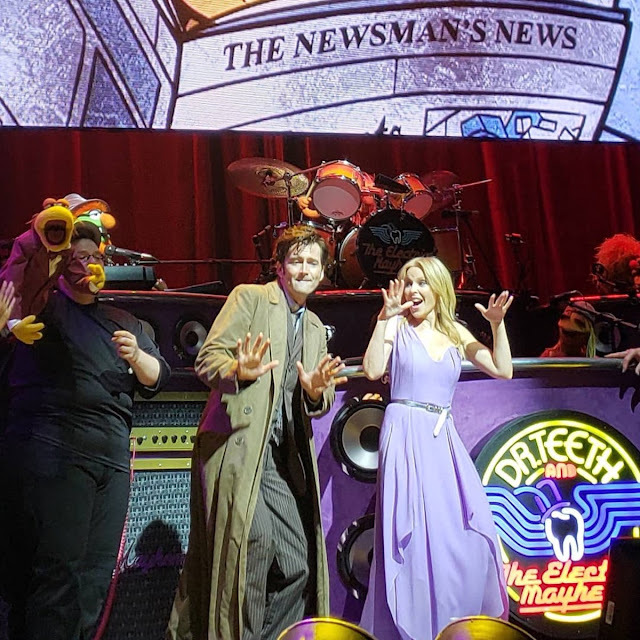 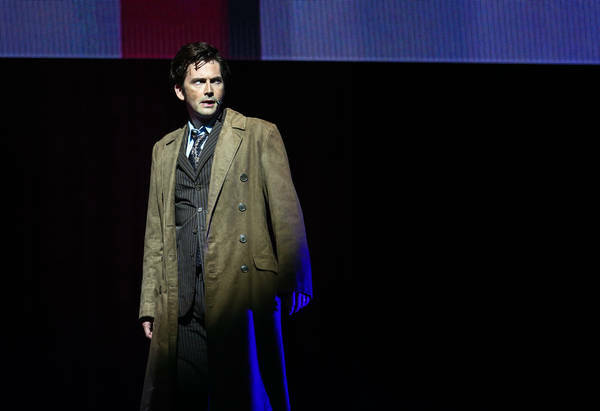 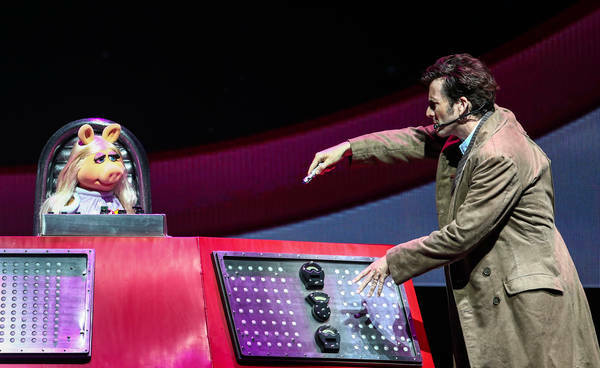 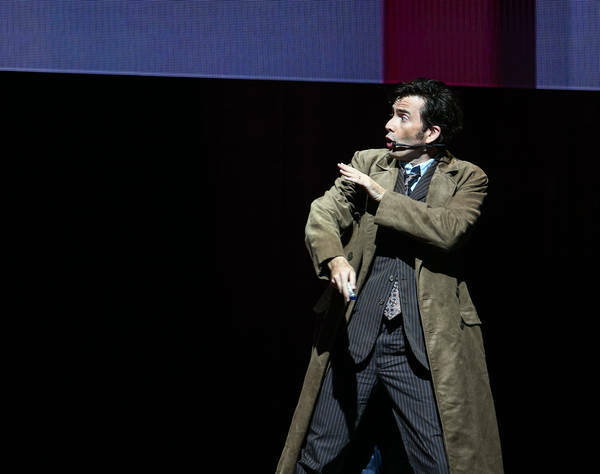 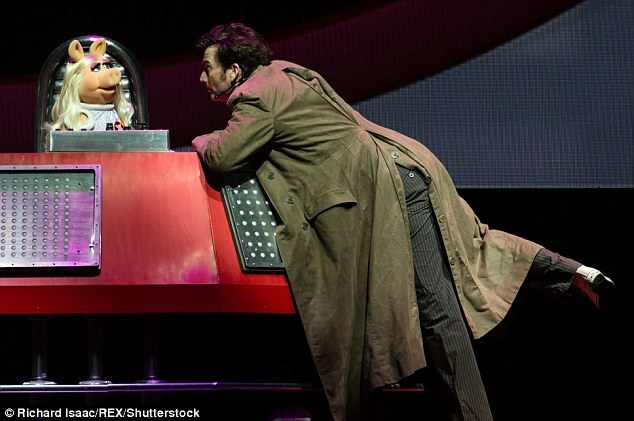 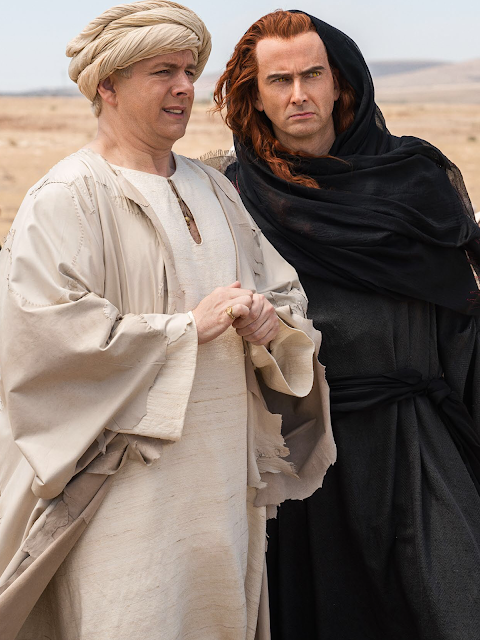 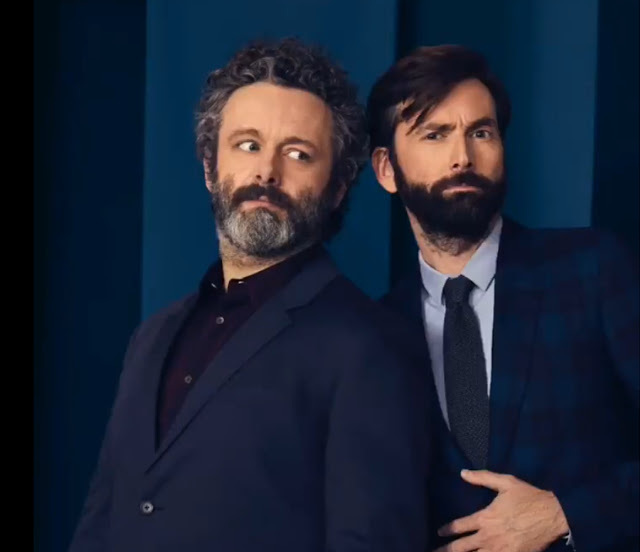 David Tennant reprised his role as the Tenth Doctor for one night only last night as he appeared on stage in The Muppets Take The O2 for a new sketch of the classic Pigs In Space. 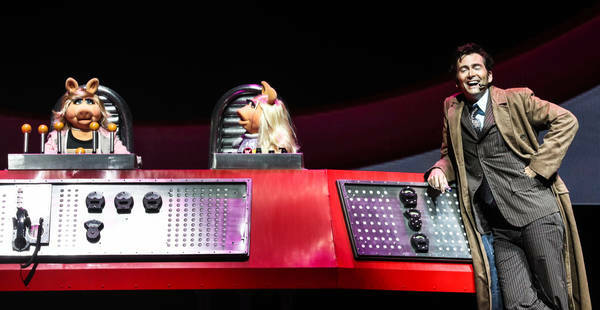 Kermit the Frog and Miss Piggy lead Gonzo, Fozzie, the Swedish Chef, Animal and the gang as their most sensational, inspirational, celebrational, muppetational, full-length live show comes to Europe for three shows at London's O2. 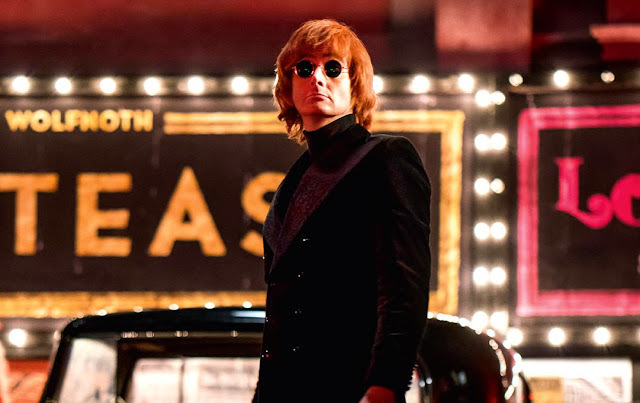 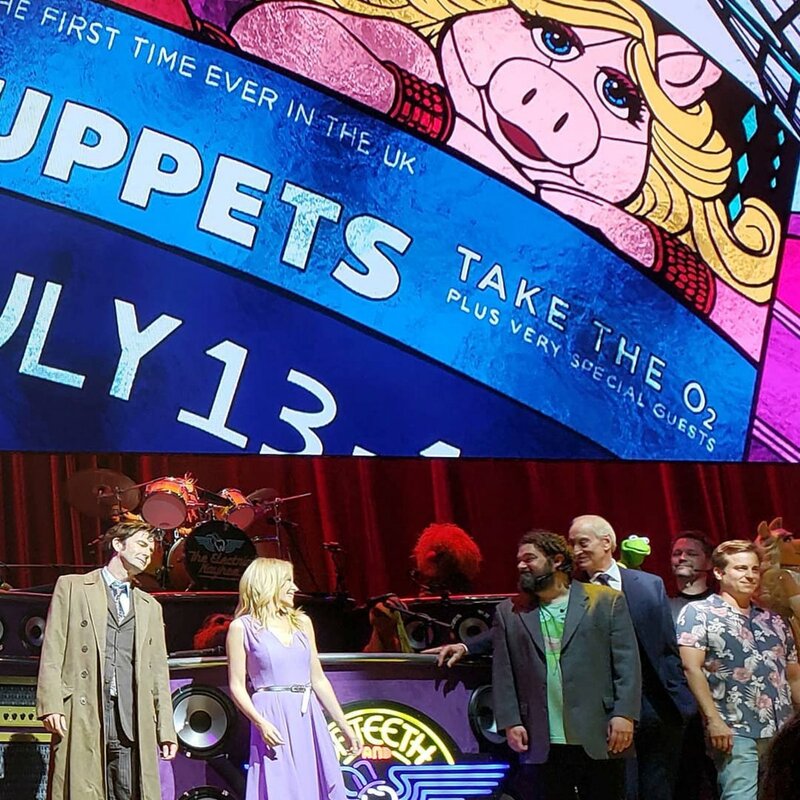 The Muppets were joined last night by David, Kylie Minogue, Charles Dance and Kevin Bishop for musical performances, sketches and many, many more extraordinary surprises.